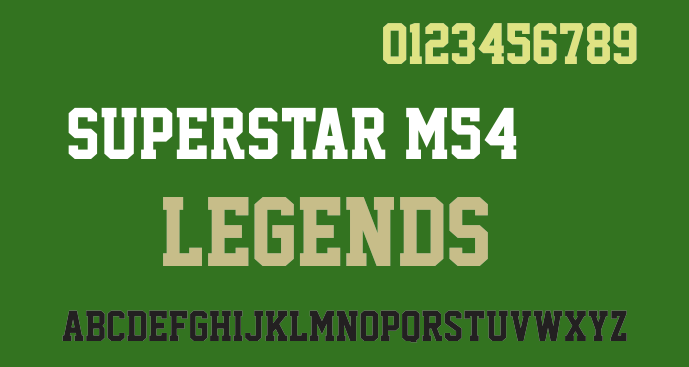 My version of the classic atletic type slab serif. Ideal for apparel design and numbering sports jerseys. The upper and lower case 'S' and 's' are different, the lower case one being more traditional for this style of font. The left and right curly brackets hold alternate glyphs for numbers '2' and '5'.